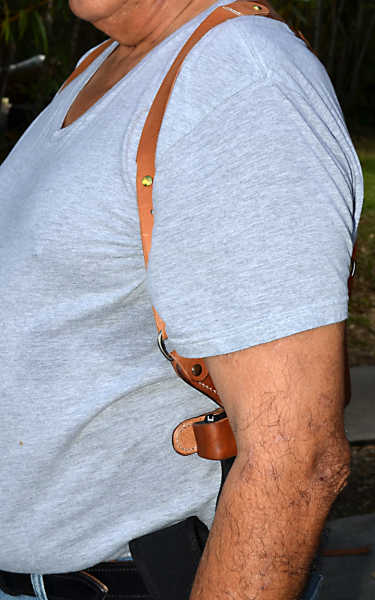 Shoulder holsters are not for everyone, but they are one of the few effective ways to conceal a handgun off of the belt. If you're wearing a jacket, they can be a very comfortable way of carrying, especially behind the wheel of a car. This rig conceals the pistol horizontally, up under the support-side arm. 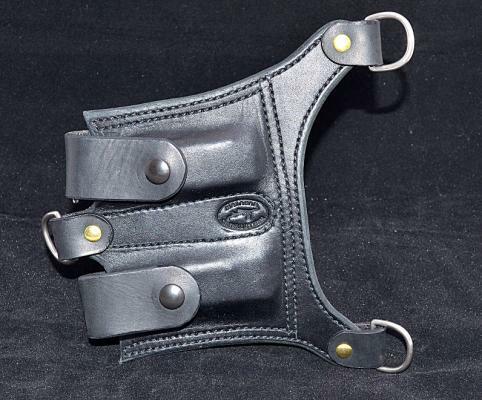 It includes a double-mag pouch to balance the strong-side. 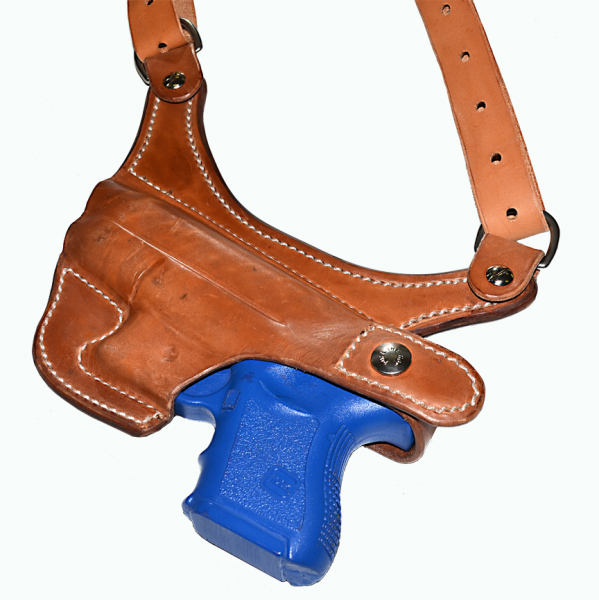 The pistol is secured via a thumb-break with a concealed snap. 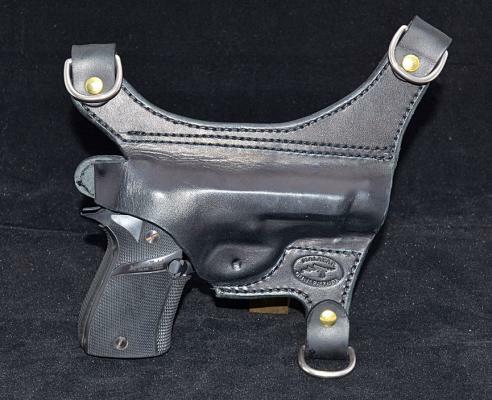 A second holster can be substituted for the mag pouch if desired. 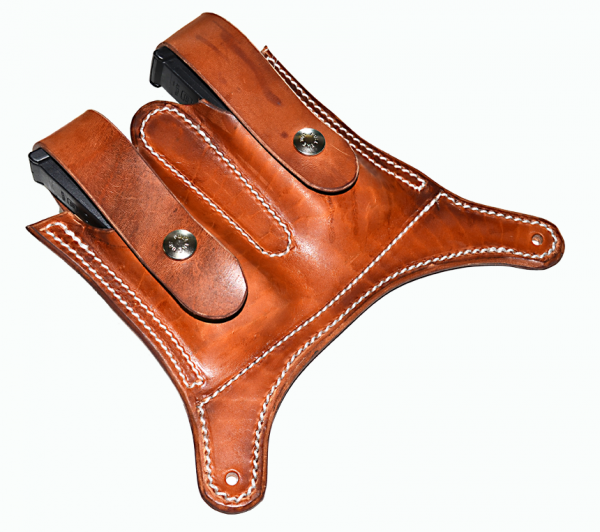 The shoulder straps are sized to the chest-size of the shooter, and are made from bridle leather, for comfort and sweat resistance. 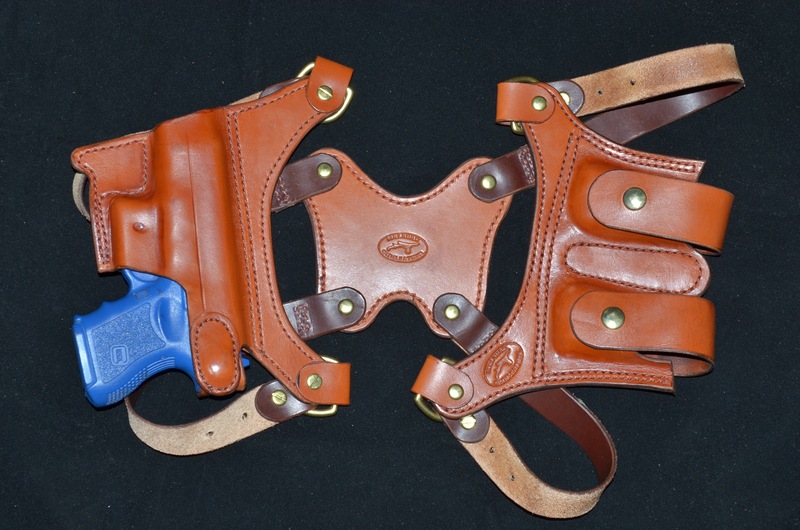 Holsters are molded to fit individual models of guns and use military grade, one-way, Pull-the-Dot snaps. Prices start at $170 in black, drum-dyed Hermann Oak cowhide, or lighter weight Russet Hermann Oak cowhide. Natural horsehide starts at $190.